Classic meets Contemporary in this charming Webster Groves home! Beautiful wood floors throughout most of main level with arched doorways plus updated kitchen and baths. Decorator kitchen offers solid surface counters, subway tile backsplash, 42" cabinets and gas range/oven. New architectural shingle roof in 2018, updated 200A electric and newer thermal windows. Main level has bonus flex room between attached garage and living room. 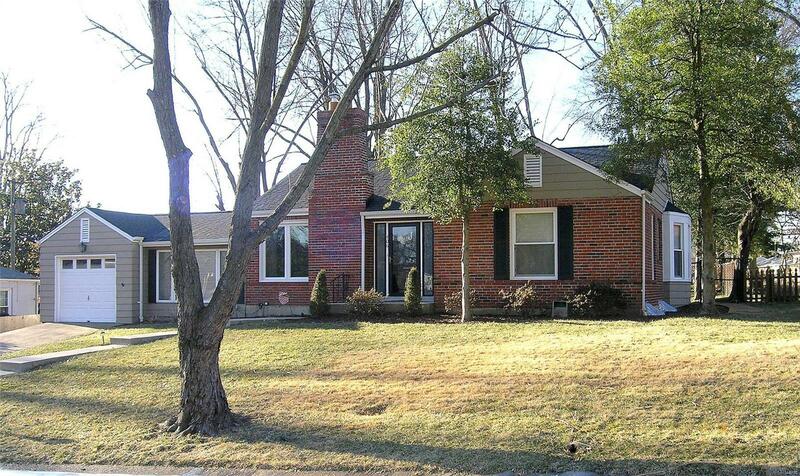 Convenient walkout from kitchen to large deck and wooded, level, fenced backyard. Open stairway from the main floor leads to expansive lower level with rec/family room, full bath and separate finished laundry room. Sellers are offering 1 year AHS Home Protection Plan.